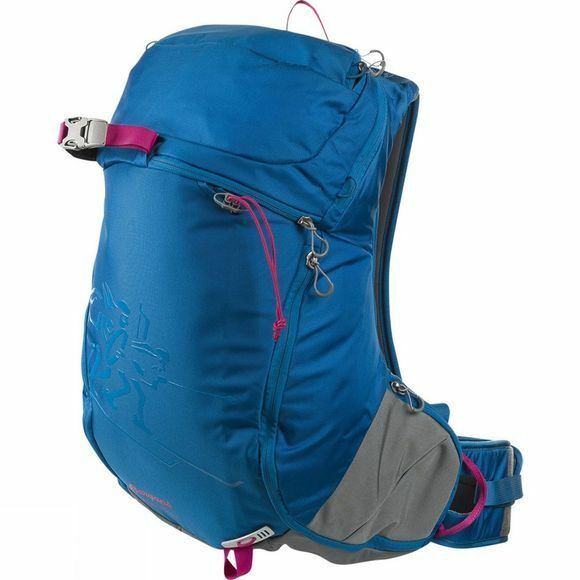 The Women's Istinden 26L Rucksack from Bergans is an innovative and stylish ski touring pack. Sleek and light, it makes no compromise on functionality and is an excellent fit even when making a fast turn. It employs a secure solution for diagonal ski carrying on the way up and quick and simple access to avalanche safety equipment via an external pocket on the way down so that you can act quickly in tricky situations. The simple design of top zip entry with a few zipped pockets for organisation ensures superior functionality, low weight and premium durability are perfectly balanced, providing everything that you need and nothing that you don't in a tidy athletic design.